Dr. Anwar Mhajne is currently a Postdoctoral Teaching Fellow at Stonehill College. She is a political scientist specializing in international relations and comparative politics with a focus on gender and politics. She is a cofounding member of the Center for Progressive Security. 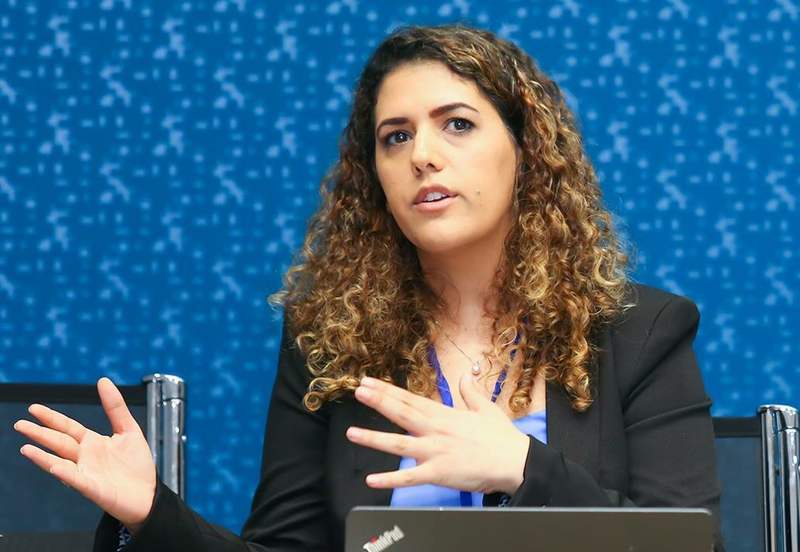 Her current research is at the intersection of gender, religion, and Middle Eastern politics. Dr. Mhajne focuses on how Islamic beliefs and institutions in the Middle East structure Muslim women’s political understandings, agencies, and opportunities at local, national and international levels. Due to her political science and interdisciplinary training in gender politics, international relations, and comparative politics, Dr. Mhajne's research strengths lie in the following areas: Feminist International Relations and Security Studies; Democratization; Governance and Institutions; Civil Society and Activism; Political Islam; Middle East; Gender Politics; Social Movements; and Regime Change. Dr.Mhajne's work has been featured in The International Feminist Journal of Politics, Political Research Quarterly​, The Conversation, Times of Israel (x1), Haaretz (x1, x1), Middle East Eye (x1), +972 Magazine (x1), Quartz, and Carnegie Endowment for International Peace. At Stonehill College, Dr. Mhajne is teaching Global Security Studies, Political Science Research Methods, US Foreign Policy, and Political Islam. While at the University of Cincinnati, she taught two online courses: Introduction to International Relations (x1) and Citizenship and Terrorism (x2). She served as a teaching assistant for multiple classes such as American Politics, Political Inquiry, and Comparative Politics. She also worked as a research assistant on projects that examine topics addressing the intersection of politics, religion, gender, and social media. Dr. Mhajne has recently been elected as Memeber-at-Large on the executive committee of the International Studies Association Women’s Caucus (WCIS). She served as the first graduate student representative on the executive committee of WCIS between 2016 and 2018. She was the president of the Political Science Graduate Student Association in 2015. Moreover, Dr. Mhajne attended the 60th and 61st Commission on the Status of Women as a delegate for Women’s International League for Peace and Freedom. As a graduate student at the University of Cincinnati, Dr.Mhajne was designated as a Graduate School Fellow, a Charles Phelps Taft Dissertation Fellow, a Dean Dissertation Fellow and a Security Council Monitor Fellow with WILPF. She presented her research at various conferences including the International Feminist Journal of Politics, the Midwest Political Science Association, and the International Studies Association. Learn more about Anwar here and here. .للمزيد عن د.أنوار، إضغط\ي هنا وهنا.